DENVER, Feb. 16, 2017 /PRNewswire/ — Apartment Investment & Management Company (NYSE: AIV), one of the country’s largest owners and operators of apartment homes, has filed suit in California and Florida state courts seeking monetary damages as well as court orders preventing Airbnb, Inc. from assisting Aimco tenants to breach their leases in order to sublet their apartments. Short-term rental arrangements, whether through Airbnb or otherwise, are expressly prohibited by Aimco’s lease agreements. Transient Airbnb clients have posed safety and quality of life concerns for Aimco’s full-time residents. Aimco strives to provide exceptional customer service and to offer residents a safe living environment free from disruption. All prospective Aimco residents undergo criminal background checks and credit history reviews before their acceptance as qualified renters. When approved, Aimco residents sign the company’s Good Neighbor Policy as part of their lease – a promise of good behavior and consideration for their neighbors. By contrast, those assisted by Airbnb to use Aimco property in violation of the Aimco lease are trespassers, with unvetted personal histories, and no vested interest in maintaining a peaceful community atmosphere. 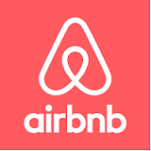 On several occasions, these Airbnb supported trespassers have created safety, noise and nuisance concerns for Aimco’s lawful residents, including incidents of public drunkenness and fighting requiring police assistance. Aimco notified Airbnb in August, October and December of 2016 that the listings appearing on the Airbnb platform represented lease violations, but Airbnb has continued to participate in illicit subletting of apartments. Aimco communities have suffered damages including property damage, nuisance and disturbance, and loss of revenue.